I remember playing the original Doom video game at my neighbor's house. My friend had the game and we played all the time. You really could die pretty easily in it, and we very often did. That was good, of course, since it meant you weren't far from having your own turn playing. And who knows better about dying often than Sean Bean? He's been killed on-screen more than just about anyone... *gets a note* Wait... wrong Sean Bean. Ah well. This Sean Bean still knows about on-screen deaths, as he is with id Software, who created Doom. 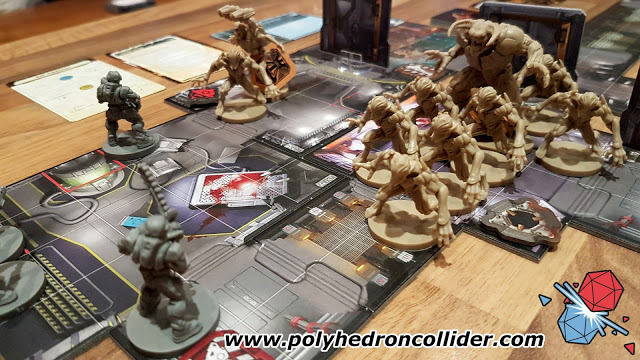 Fantasy Flight Games has a talk with him about that as well as the Doom board game. Literally. The denizens of Hell have managed to break through into our dimension due to some careless scientists on Mars. If the security forces don't act fast and try and stop more portals from opening up, the whole universe could be flooded with foul and horrific beasts. It's going to take a lot of toughness... and a lot of ammo, if they're going to make the world safe again. Pretty much all of us know the story behind Doom. Well, now you can bring that FPS game to your tabletop, as the Doom board game is now available from Fantasy Flight Games. If you want to fight back the denizens of Hell and secure safety for not only Mars, but everyone in the entire universe, you're gonna need a plan. Granted, a group of generals back at base writing down a list of objectives, and a small squad of marines going out and battling against demons in order to actually accomplish those objectives are two drastically different things. 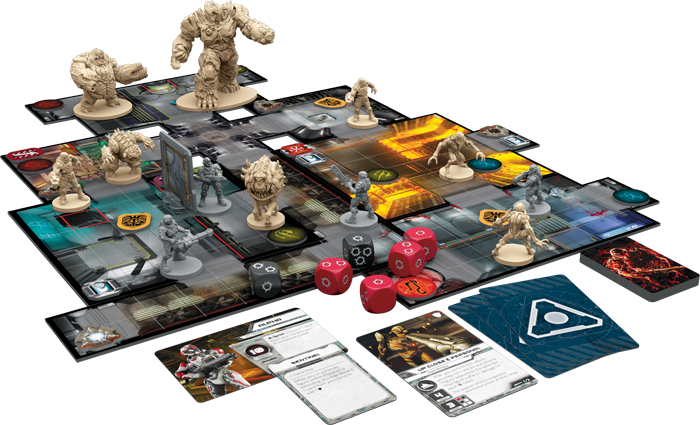 It's those missions that we get a look at in this preview of the upcoming Doom board game from Fantasy Flight Games. The forces of Hell are pouring into our world via portals that were opened in a space station on Mars. A stalwart group of Space Marines are the only defense this dimension has to stem the tide. Will you take up the role of one of those defenders? Or will you look to cause Hell on Earth... err... Mars? 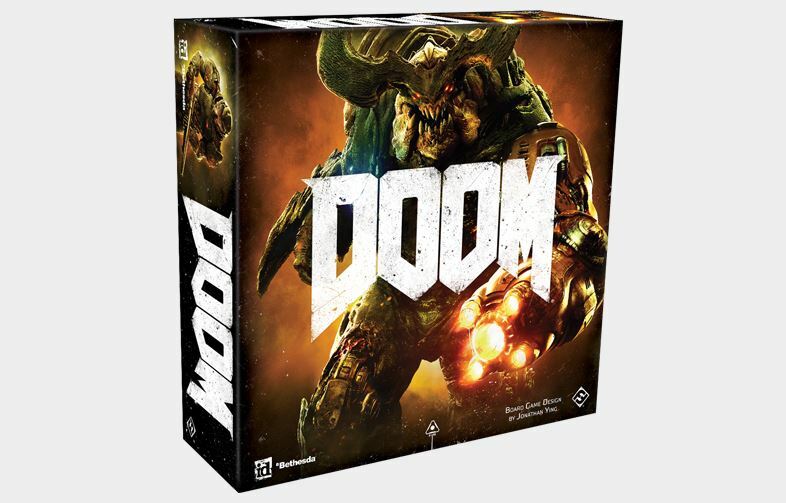 That's your choice in the upcoming Doom board game from Fantasy Flight Games. In this preview, we get a look at how the gameplay works. 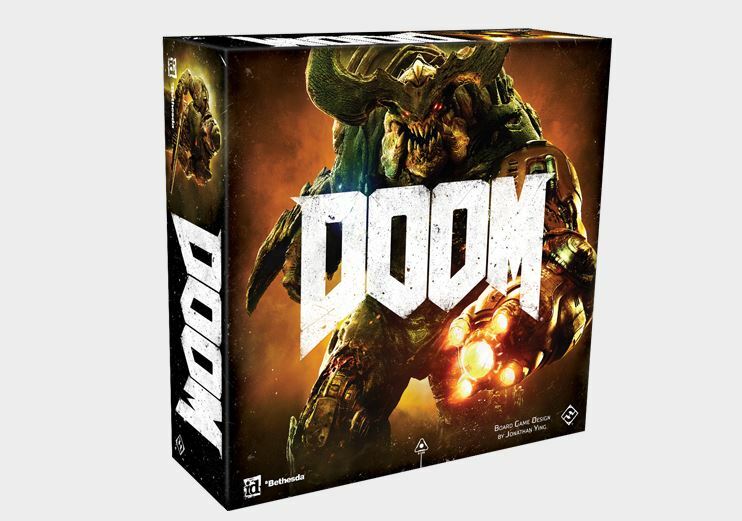 One of the other big announcements from Fantasy Flight Games at Gen Con this past year was that they're coming out with a new Doom board game. In it, a squad of 1-4 space marines will be taking on hordes of demons out in the depths of space. I know I played the hell out of the video game back in the 90s. Now that nostalgia will be coming to tabletops worldwide. In this preview, we get a look at what options the Marine players will have available to them. Man, I remember when the Doom video game came out. I didn't have it, but my neighbor did. So I'd go over there and we'd play for hours, running up and down those pixelated corridors (that still looked exceedingly awesome at the time) and blasting cyberdemons with our gatling guns and shotguns and BFGs. 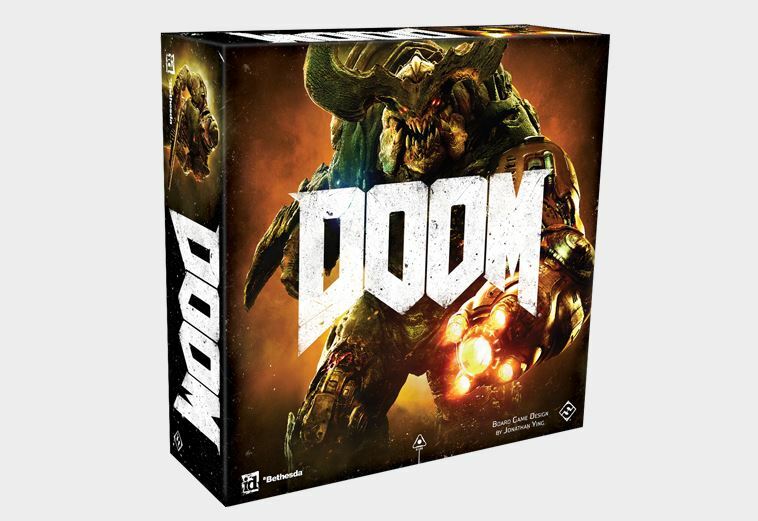 Soon, all of that will be able to be played on your tabletops (though much less pixelated than that original game), as Fantasy Flight Games has announced Doom: The Board Game.